The coming Valentine's Day will be the second one that I am spending with Alaric! Last year we celebrated with a simple dinner & movie as well as gifts to each other. Some of you may do something pretty low-key, some of you may plan something extra special for your other, while some of you may not feel the need to do anything for it at all! After all, every day can be special. This year, Durex is launching a very simple contest for couples out there who have captured a special moment with their partner in a photo, with the grand prize being a 4D3N special couple's trip to Krabi worth $5000! Sky Dining by the way, is romantic fine dining in a cable car! 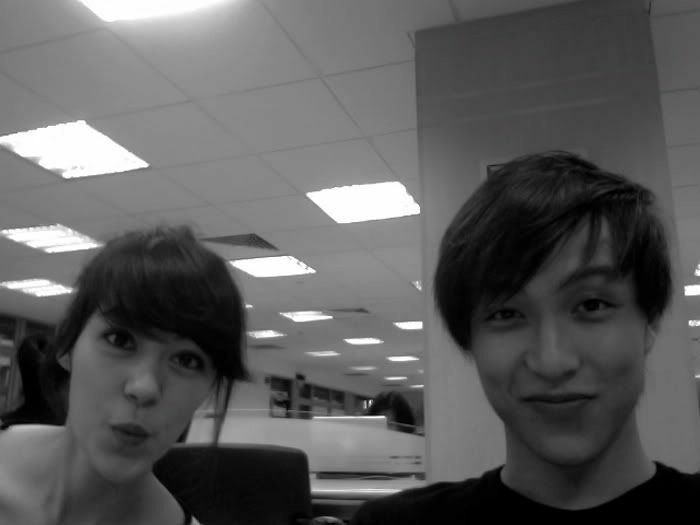 This very unprofessional (not even with a digital camera, this was taken on my laptop's webcam) photo in one of the most uninteresting locations - my school library - is special to me because this is where we first met & spent most our days getting to know each other while studying for exams. 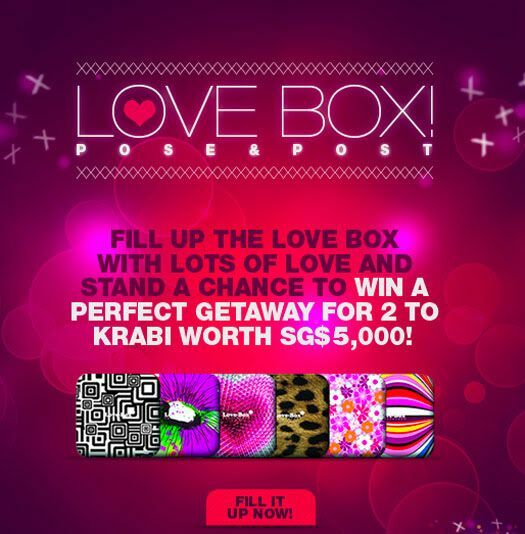 Who knows, you might win you & your partner a well-deserved romantic break to Krabi! 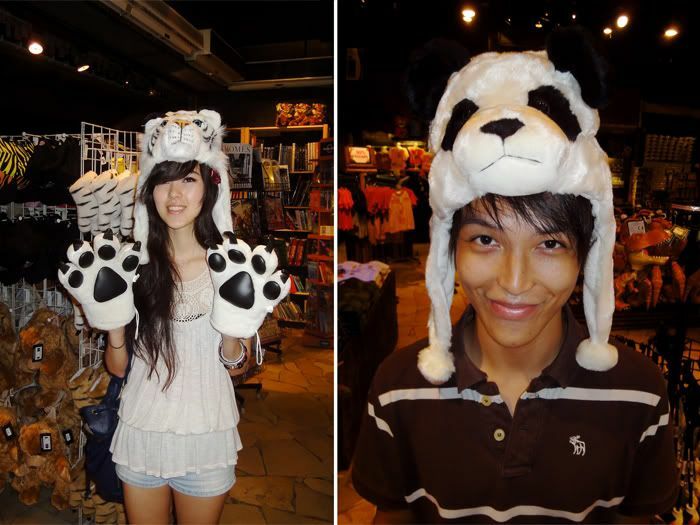 Alaric & I went to Krabi recently & I really liked it! A short getaway with your partner is also a great way to unwind together. That's one type of photo you can submit - holidays you went on with your partner where you got to try & see lots of new things together. This is in Krabi; I had been wanting a beach holiday for a long time! I got to try snorkeling for the first time in Krabi & satisfied my Thai food cravings! 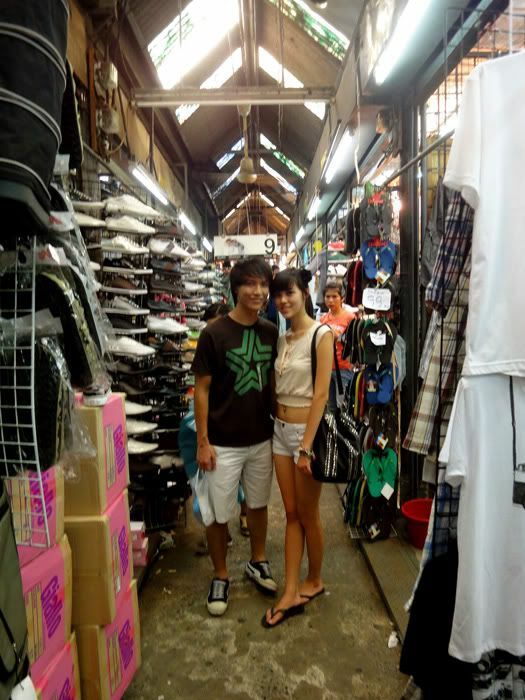 Alaric & I at Chatuchak in Bangkok! If you haven't had time to go overseas together yet, (which is why you should join the contest) what about in our own little island? This was taken when Alaric first asked me to be his girlfriend. 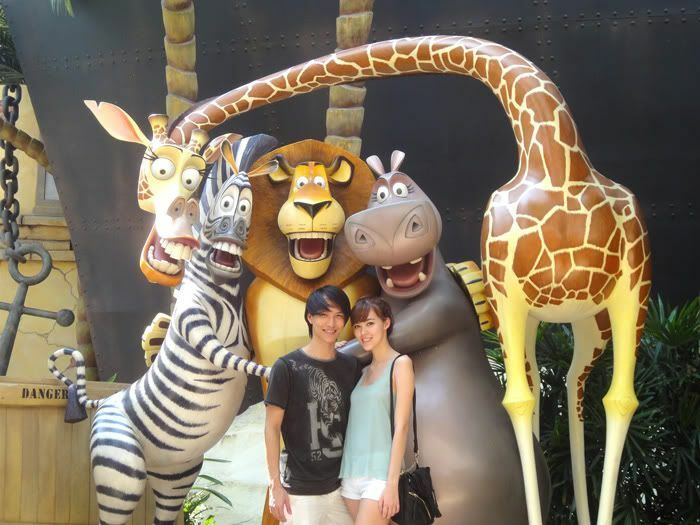 Visit to the Night Safari! How about even special days of the year spent together? 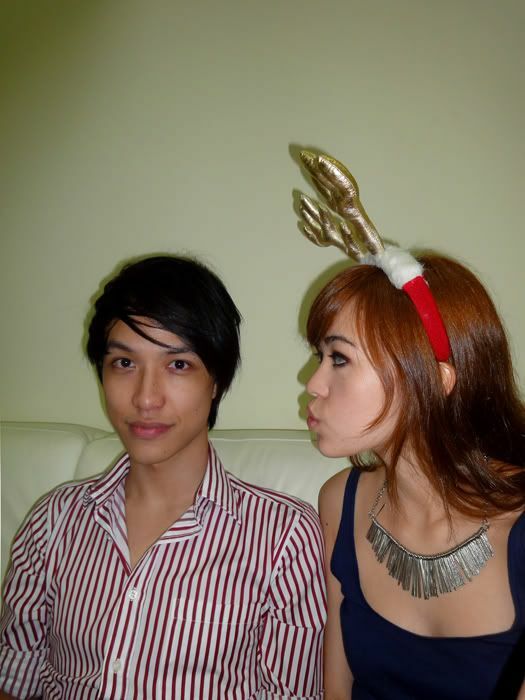 And us at Christmas 2010! 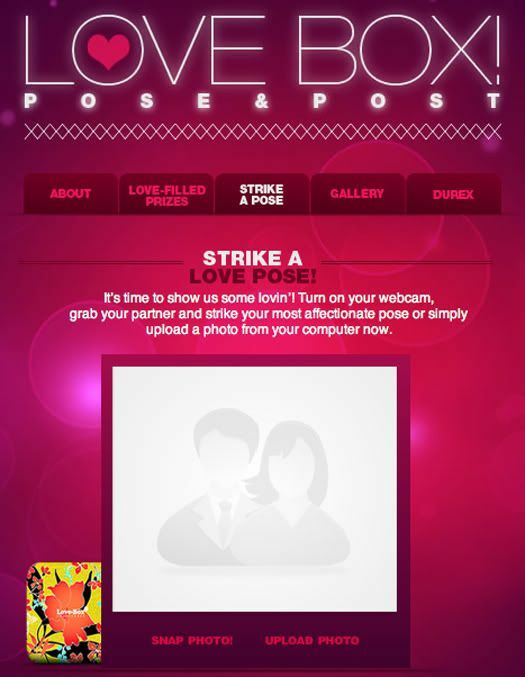 All you need to do is submit a photo of you & your partner at the Durex Singapore Facebook page! The contest runs from 16th Jan 2012 - 29th Feb 2012 & is open to any Singaporean/PR who is 18 years old & above. The Top 50 Voted Photos will be shortlisted for deliberation by a panel of judges & there will be a total of 26 prizes to be given out! Here's some good news - YOU CAN SUBMIT AS MANY PHOTOS AS YOU LIKE #KiasuSingaporeansUnite! And the best news is - NO COMPULSORY PURCHASE! You don't need any proof of purchase to take part in this contest! You should see this once you have "liked" the page & allowed the application! Next, go to Strike A Pose & fill in your info. 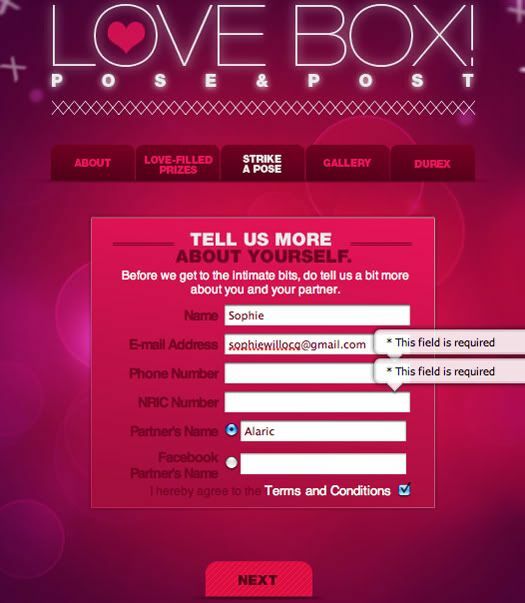 You'll be brought to this page below, where you get to choose which Love Box you want to go along with the photo you're submitting! They have 8 designs, so if you submit 8 photos you won't even have to worry about deciding which is the "nicest" design LOL. You can either snap a photo on the spot with your webcam, or upload an older one! If you're the super competitive type you can go & specially take some impressive new photos for the contest LOL. Here you can zoom in/out & decide how the picture should be framed! 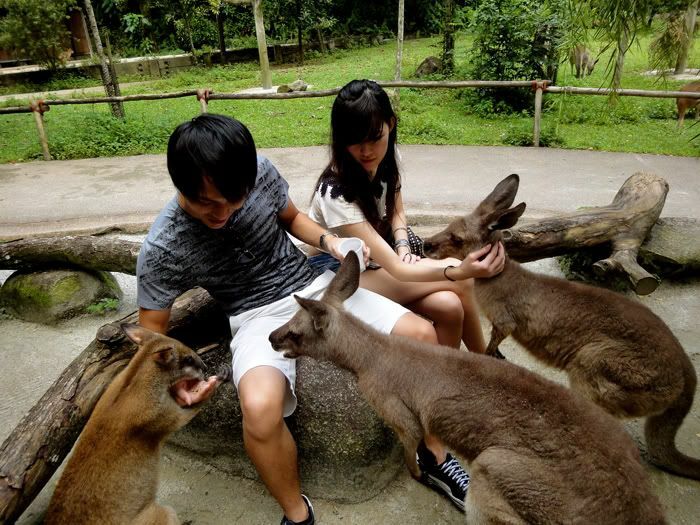 Hehe I thought the kangaroo-feeding was a cute picture! And that's it! You've joined the contest! It's that simple! Now you should try & get your friends/family/pets to vote for your picture so that you stand a higher chance of winning! Remember, you need to get into the Top 50! And ok. Wait. You're not done. 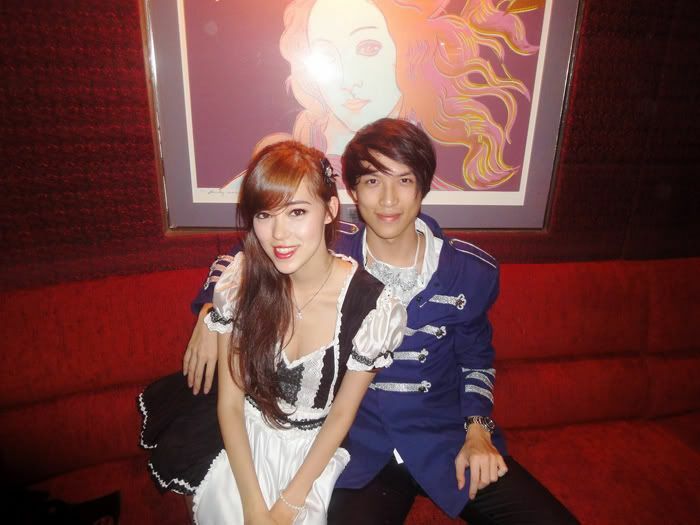 Go to Gallery to see the entries of other couples! 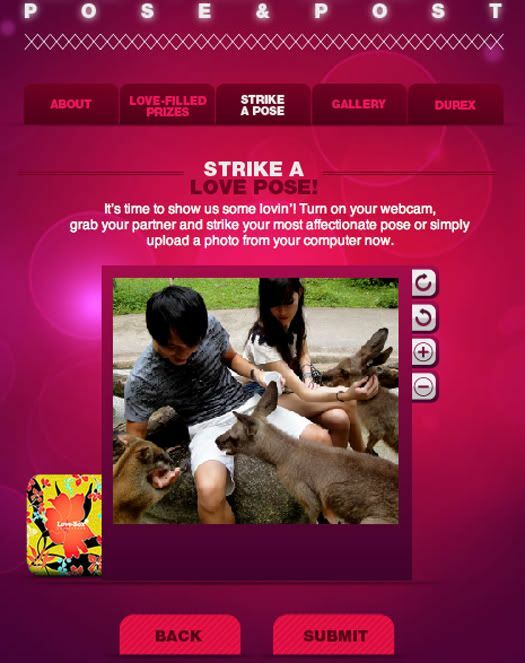 You can see that there are a lot of couples who have already submitted their entry, so you gotta hurry! 2. 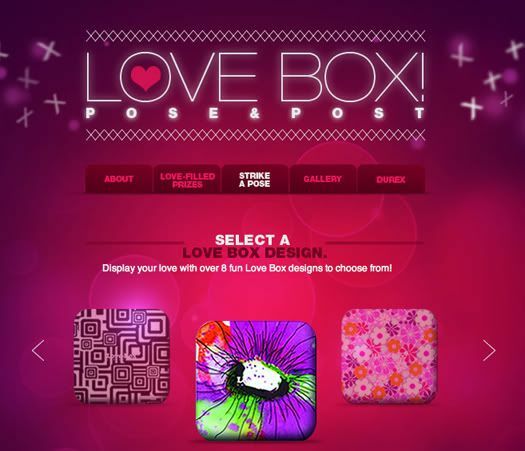 Pick your LoveBox & upload the photo(s)! 3. Get votes for it to increase chances of winning! 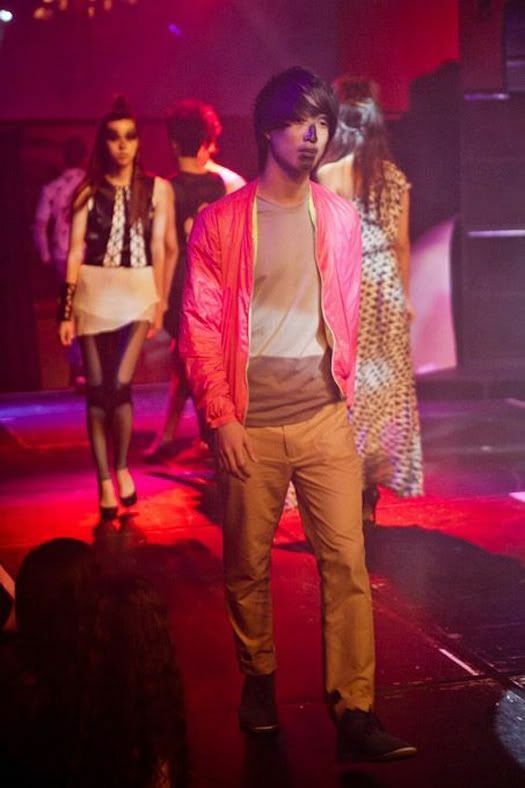 Hahaha that's Alaric & I doing a catwalk for a charity event, with weird face makeup! 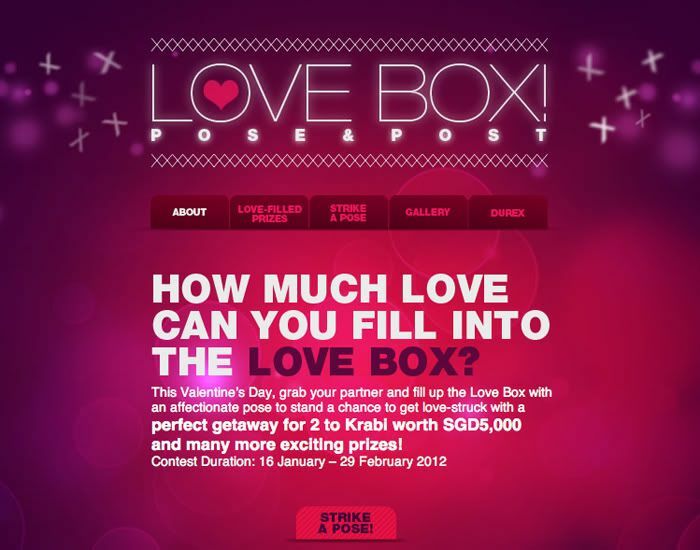 So here it is again: Durex Singapore LoveBox Pose & Post contest! Give it a shot! 2 comments on "LoveBox Pose & Post"
Hi Sophie, I was introduced to you a few years back and didn't quite like you then, maybe because you weren't really friendly then, or I misunderstood haha. But anyway! I have been reading your blog lately and I really like your posts and I find your entries really genuine and easy to read. Just wanna tell you to keep blogging! You are good at what you do.